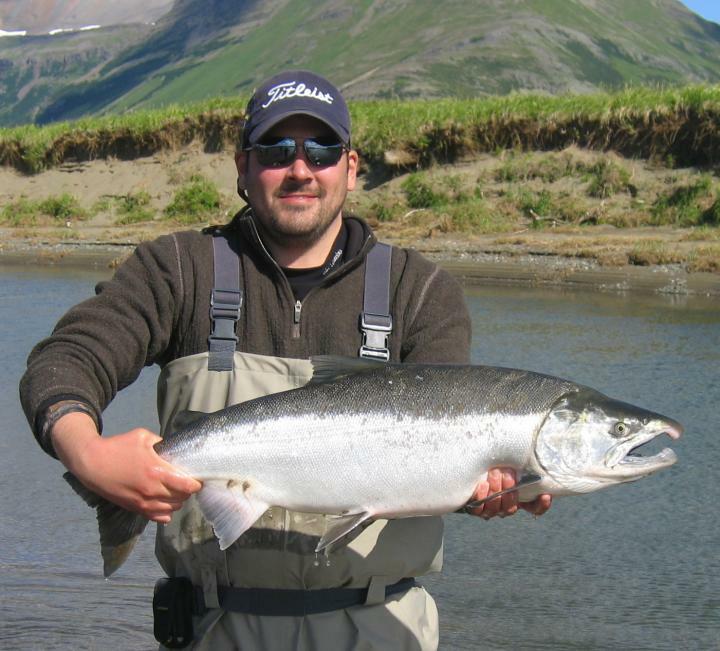 Blue Mountain Lodge is located 60 miles south of King Salmon on the Alaska Peninsula. 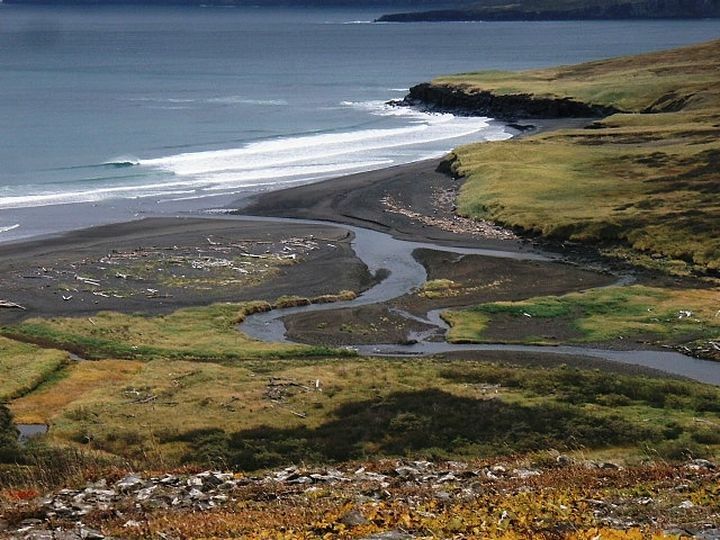 BML is minutes away from the Becharof and Alaska Peninsula Wildlife Refuges and Katmai National Park! 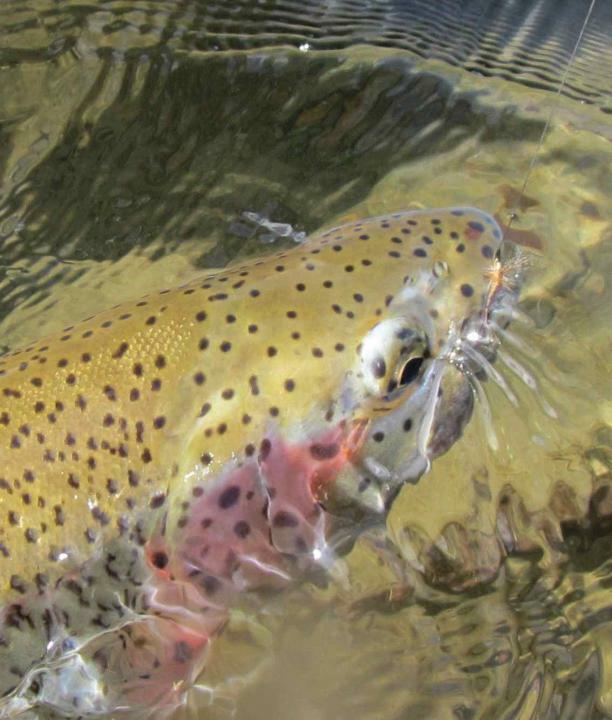 The area is spawning grounds for salmon; each year millions of salmon crowd the lakes and streams. 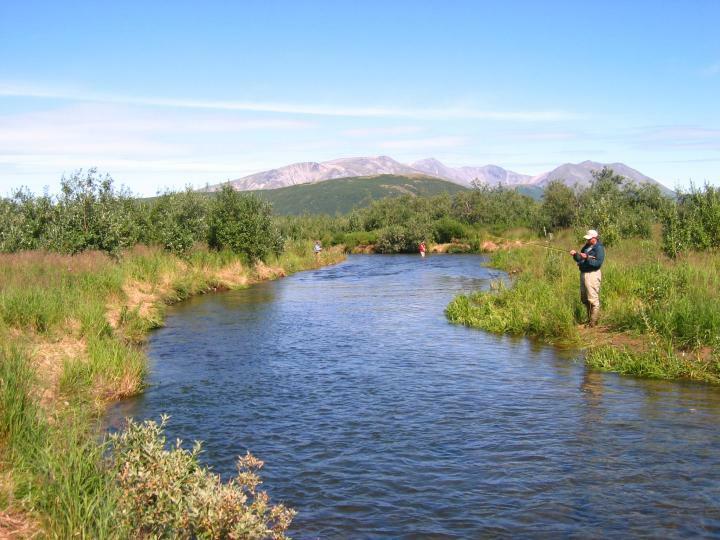 BML fishes for all 5 species of salmon, Rainbow Trout, Arctic Char, Dolly Varden, and Grayling. Ptarmigan hunting starts August 10 for a cast and blast opportunity. 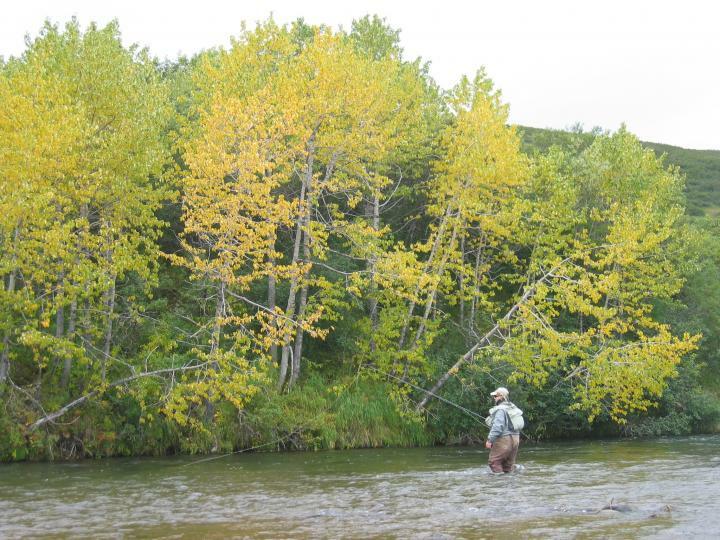 Blue Mountain Lodge is a unique opportunity to get away from the crowds. 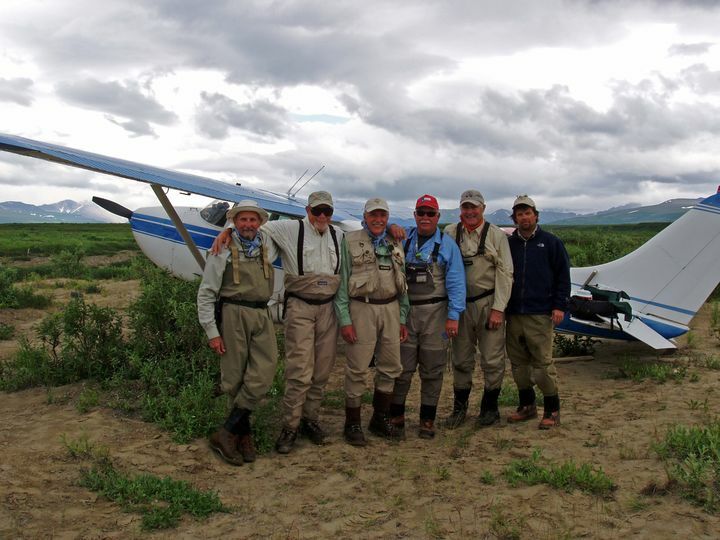 They specialize in small groups of six anglers using Cessna and Piper Super Cub aircraft allowing them to access very remote waters only fished by BML. 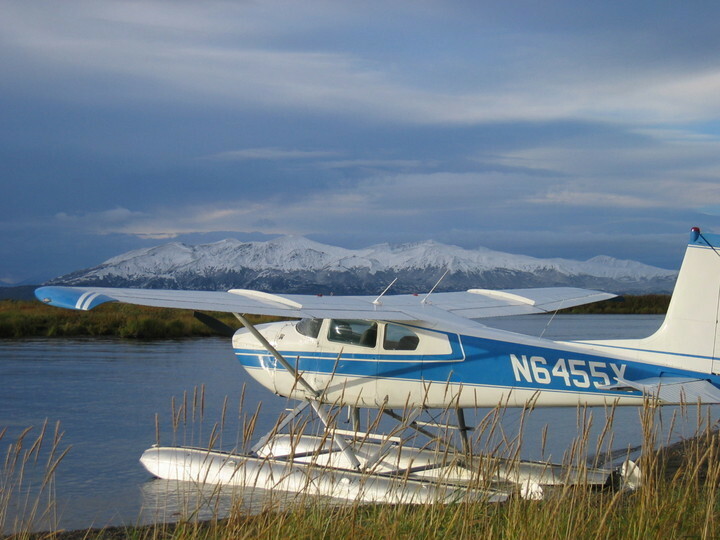 The aircraft are equipped with either floats or wheels offering the ability to access more locations. 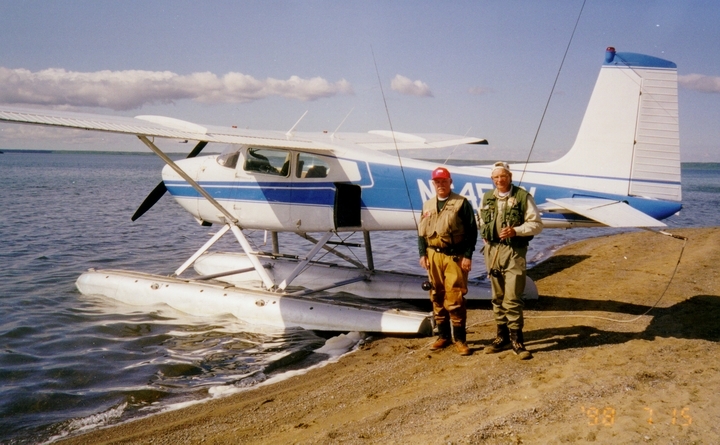 Tracy Vrem is the owner and he is also one of the pilot guides. 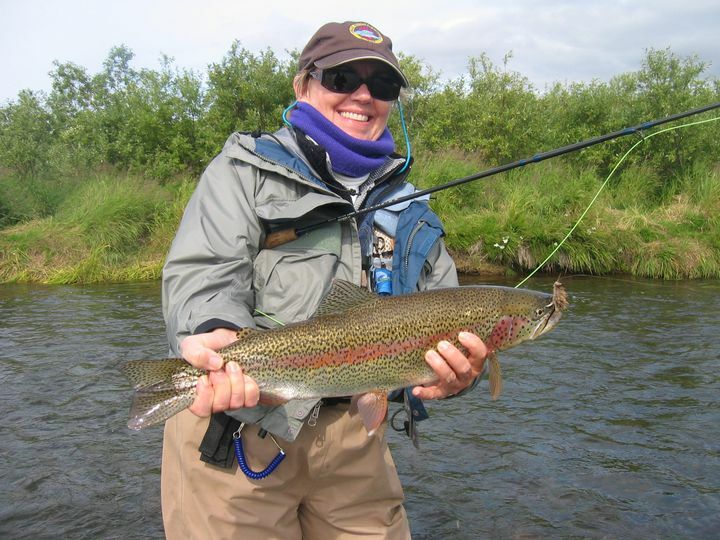 Tracy has been fishing in the area for over 35 years! 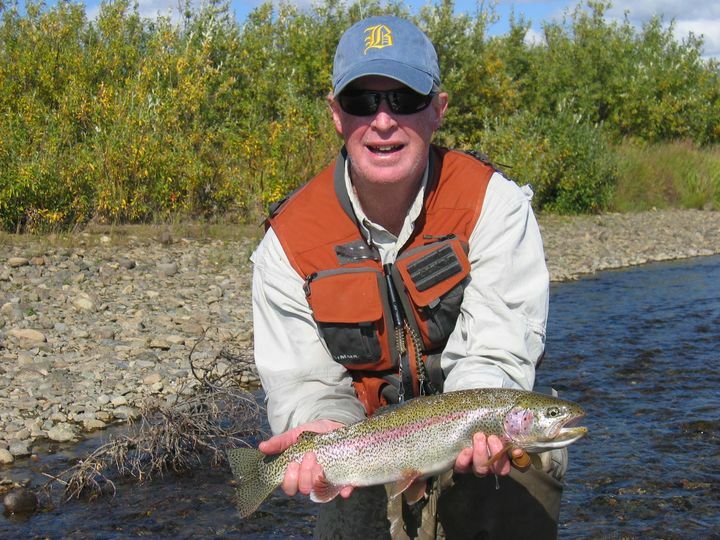 Blue Mountain Lodge's other pilot guide also has over 15 years of experience with BML! The plane and guide stay with you all day giving you the ability to move to another location if you like. 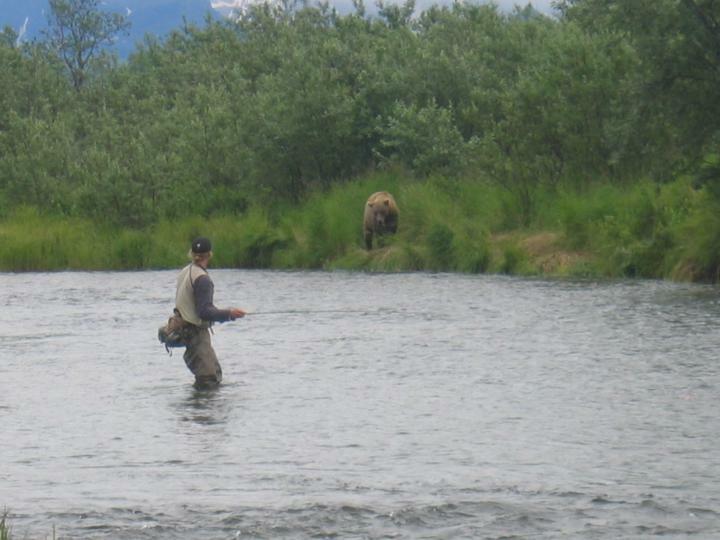 This is fantastic fishing without seeing other anglers in most locations. 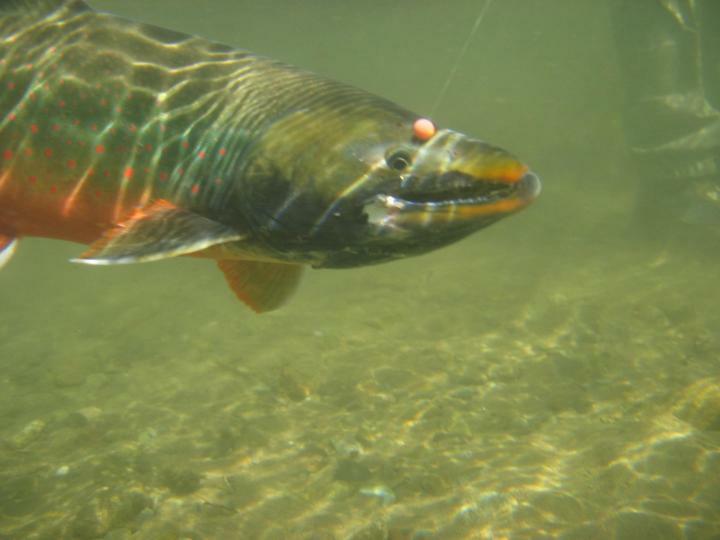 World Class Grayling have been caught in the area too. 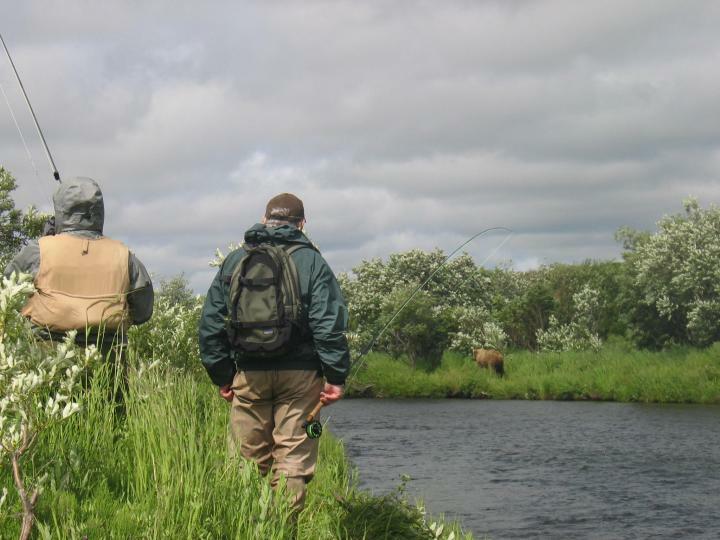 If catching lots of fish and fishing with the local wildlife, rather than the crowds, is appealing then this might be the lodge for you. The newly constructed main lodge is where you will eat, relax and reflect on the days events. 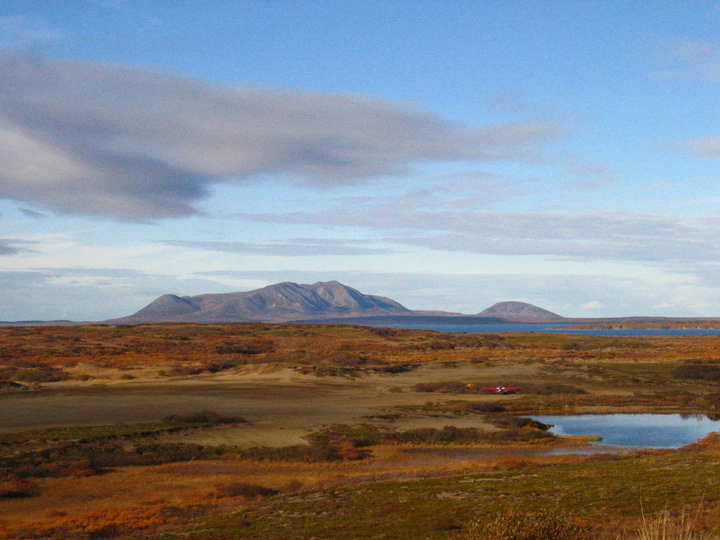 The lodge offers a beautiful view of the lake, Blue Mountain and the Aleutian Mountains. 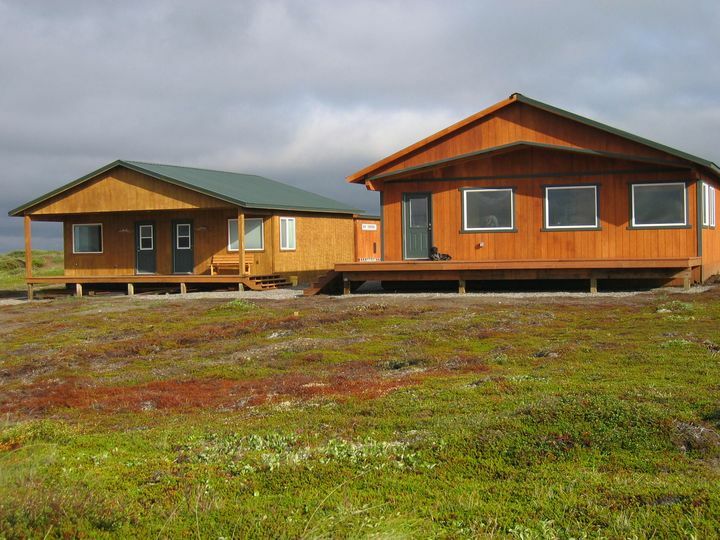 The guest cabin, a duplex built in 2006, has two private bedrooms and two front rooms that have bunk beds and a small common area. 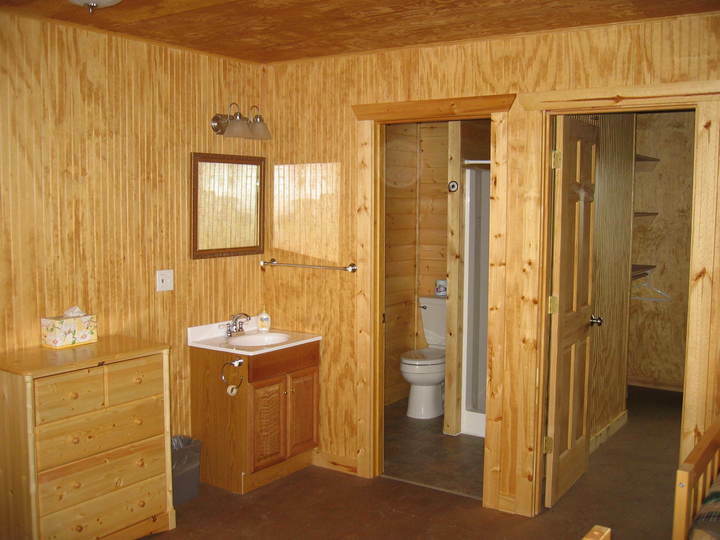 Both sides include a private bathroom with shower and flushing toilet. 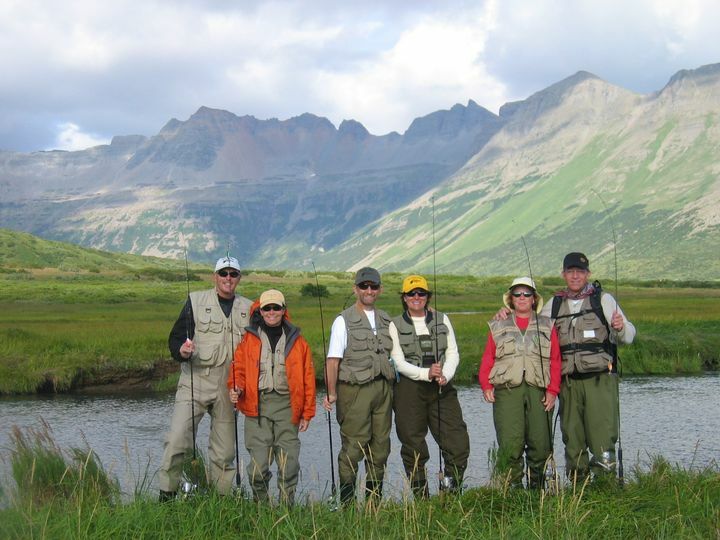 Blue Mountain Lodge sleeps two couples and up to 6 single guests. 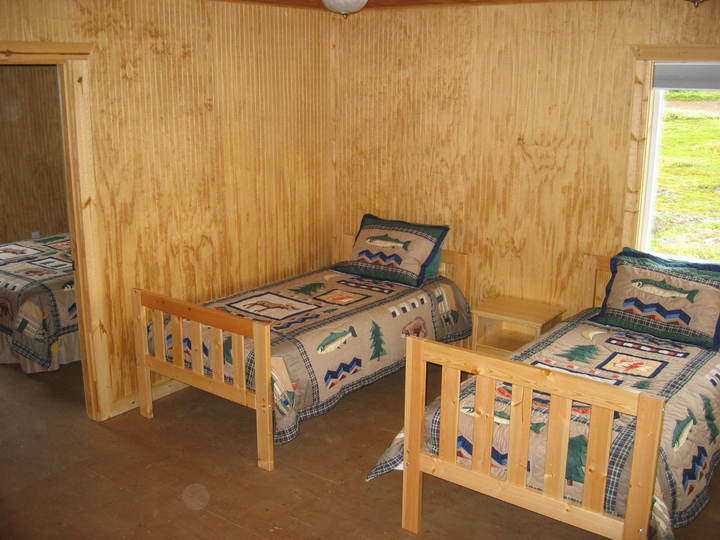 Two of the rooms are private with queen beds; the front portion of the cabin has bunk beds. Daily lunches are shore style, and once during your stay they will grill your fresh catch over an open fire. After a long afternoon you will fly back to Blue Mountain Lodge for a delicious family style dinner.